Some years ago, three Amana men decided to revive an art that hadn’t been practiced in Amana for years–the art of brewing beer. 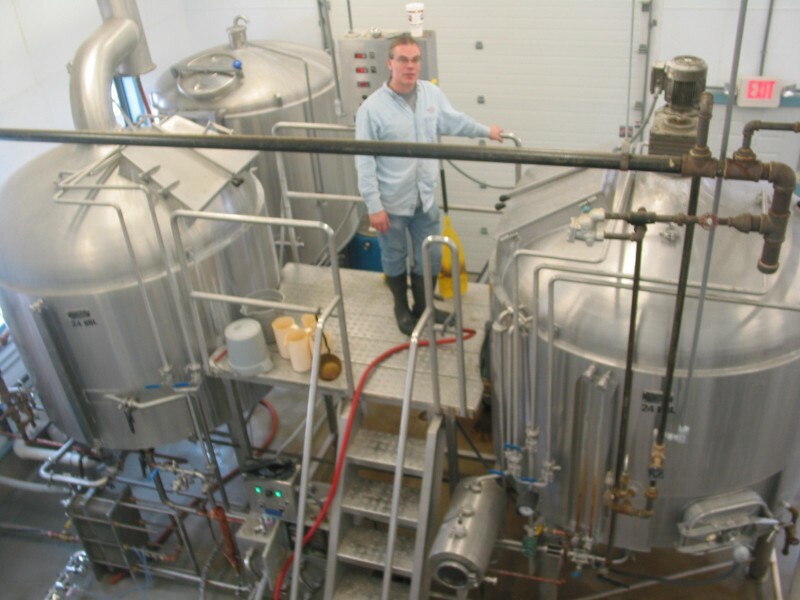 Carroll F. Zuber and brothers, James and Dennis Roemig had a dream of building a small brewery to produce small batches of hand brewed beer reminiscent of Europe’s finest brews. To brew the best they needed the best, so they called on one of America’s premier brewers, Joseph Pickett Sr. who helped in the brewery design and in development of the robust Schild Brau Amber. Currently Millstream brews 15 different beers throughout the year. 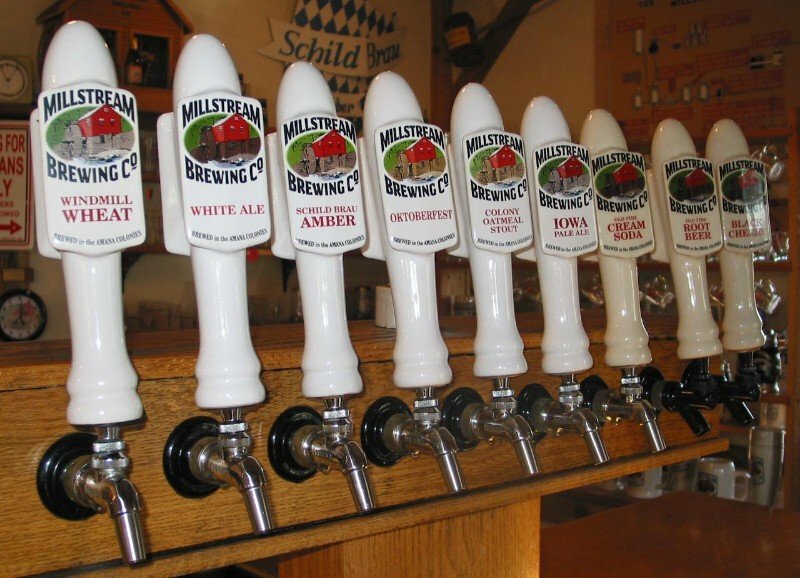 In 1985 Millstream Brewing Company opened it doors-the first brewery to operate in Amana since 1884 and the first micro brewery in Iowa. So the Millstream Brewery was born and so it has come to be recognized as the home of quality brews of rewarding tastes. We start with pure water and the finest malted grains from America’s heartland. We add European varieties of American hops and our own Bavarian yeast. Unlike the big breweries, we can take the time to cold-filter our beer, giving you the clear, crisp, full flavors and resilient, creamy head characteristics of a well-made lager. We are still here in Amana, making beer the way it should be… and we have the awards to back it up. The Schild Brau Amber is an 16 time national award winner, the John’s White Ale has received 9 awards, the German Pilsner has received 4 awards, the Back Road Stout has received 4. For a total of 33 national awards! Visit our brewery in the scenic Amana Colonies. We are located just across from the Woolen Mill in Main Amana. Enjoy the gemutlichkeit of the hospitality room/gift shop and sample our beers and sodas. Viewing windows allow visitors to see the brewing and bottling areas, as well as the fermentation cellar. 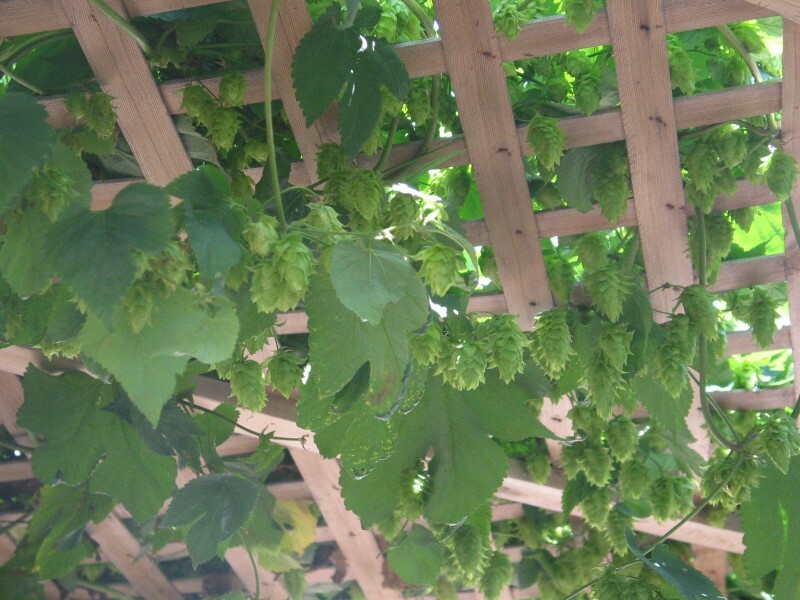 Then relax and enjoy a beer in our hop-covered biergarten.